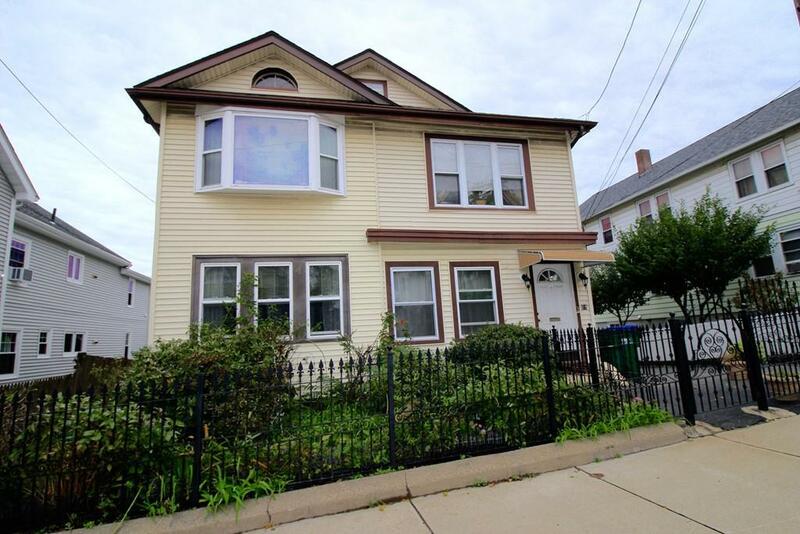 Beautiful, Bright, 2 family house with upgraded basement, 4 bedroom, 3 full baths, 3 kitchens, extra rooms, and 6+ car driveway located in South Medford near Tufts University, Somerville's Assembly Row, Wegman's supermarket, 10 minute drive to Wellington Station, Sullivan Station, and Davis Sq train/bus stations. 15 minute drive to Boston. This is a MUST SEE!!! NEW ROOF, OVEN, DISHWASHER, GARBAGE DISPOSALS, UPDATED CABINETRY, GLEAMING HARDWOOD FLOORS, tile in kitchen and bathrooms...Extra rooms, plenty of storage space. Front and rear garden, patio, and outdoor storage space. Enclosed front and back porches, walk-up attic with floor. Bay windows on 2nd floor unit, upgraded IRON GATE, connections to both VERIZON and COMCAST, 5-10 minute drive to Davis sq, wellington circle, and assembly row shopping centers. Tufts park, Trum field, and Foss park just a 5 minute drive away.